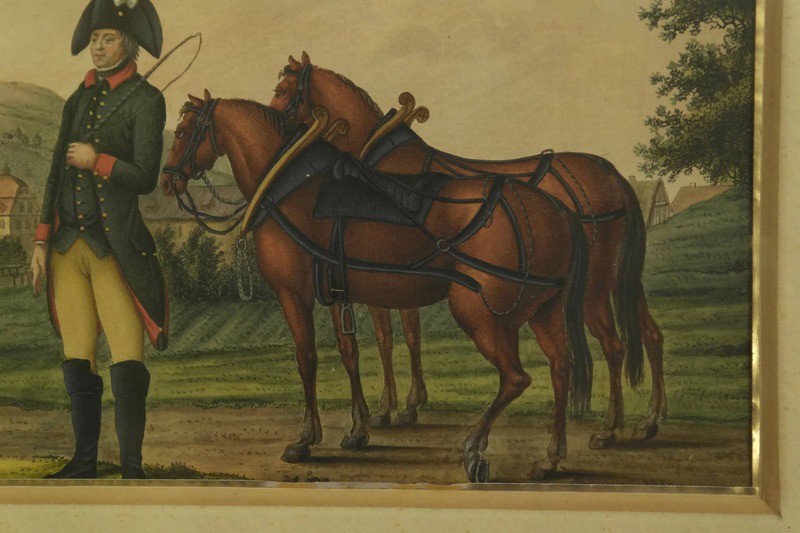 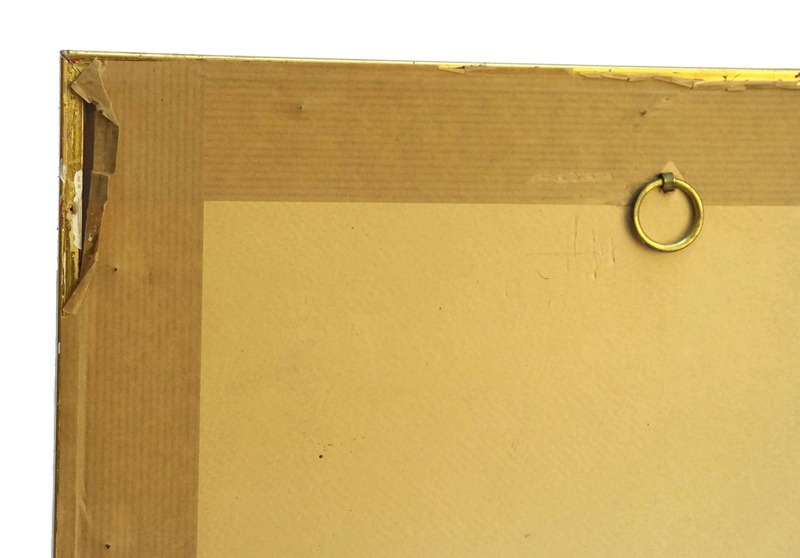 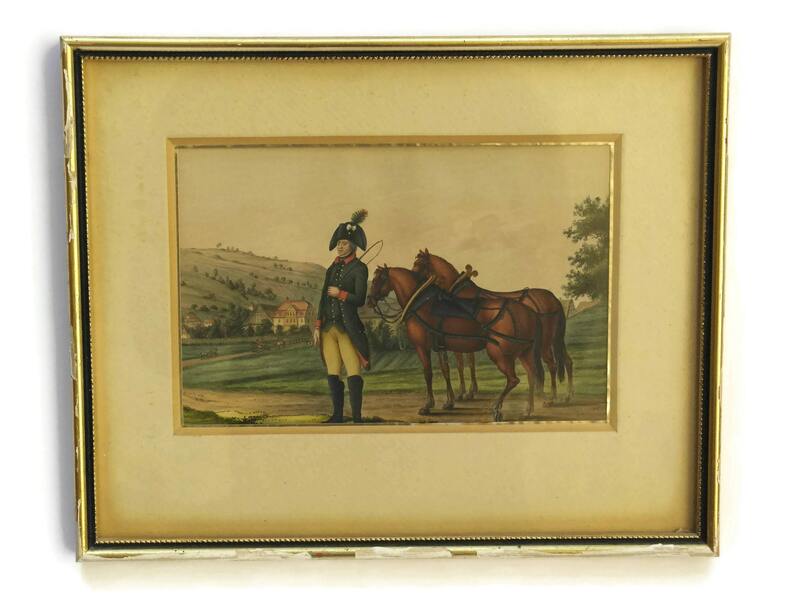 Antique Equestrian & Military Art. 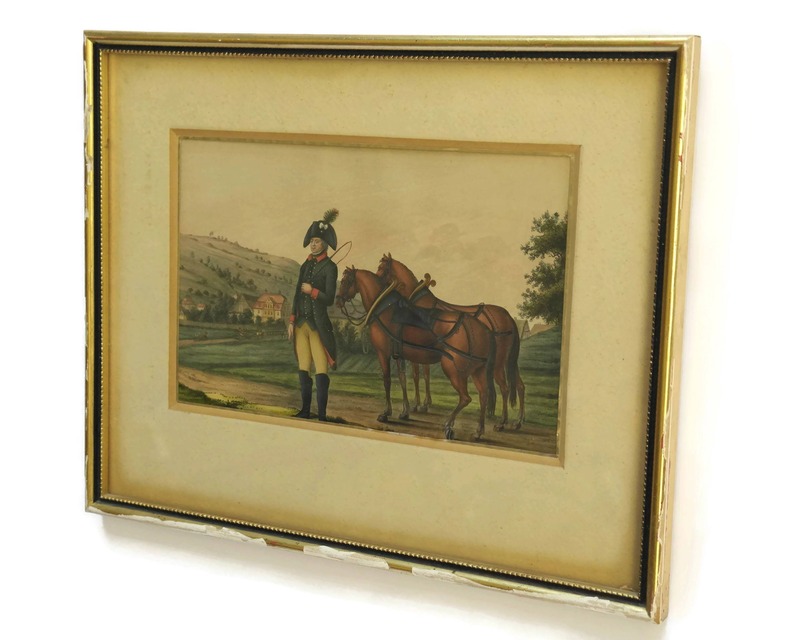 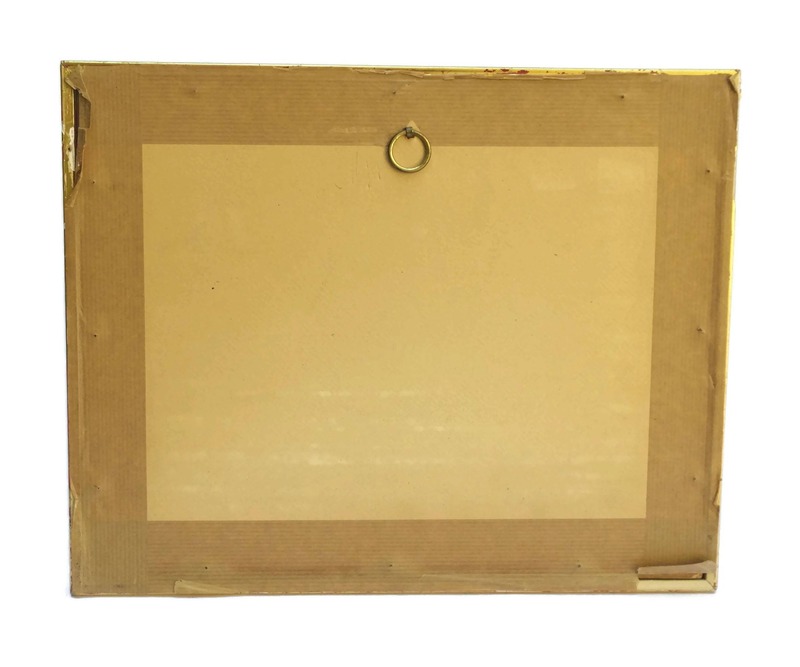 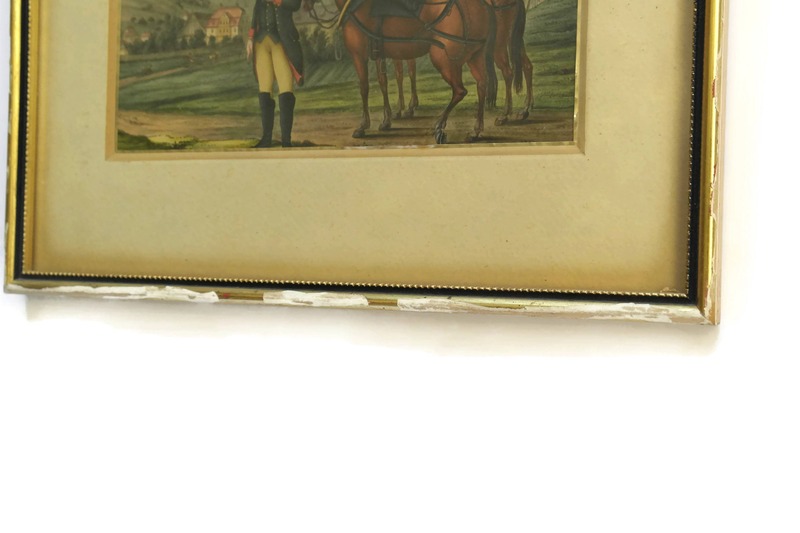 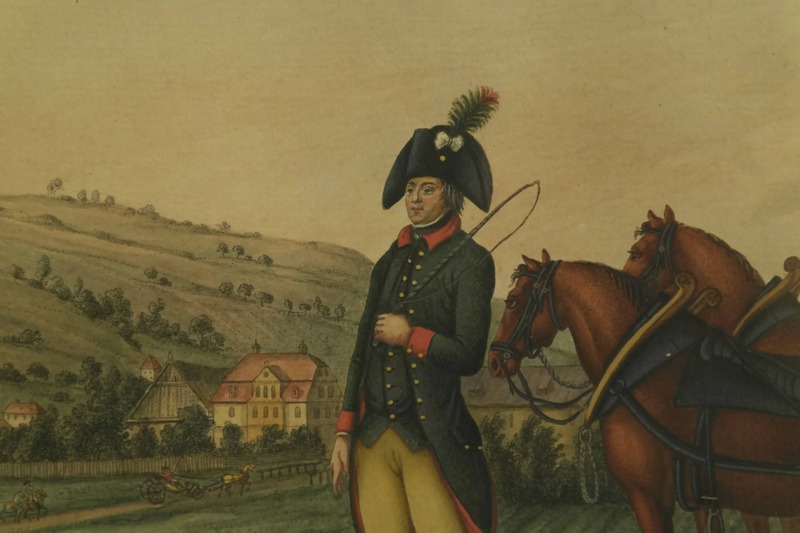 A charming antique military portrait painting dating to the early 1800s. 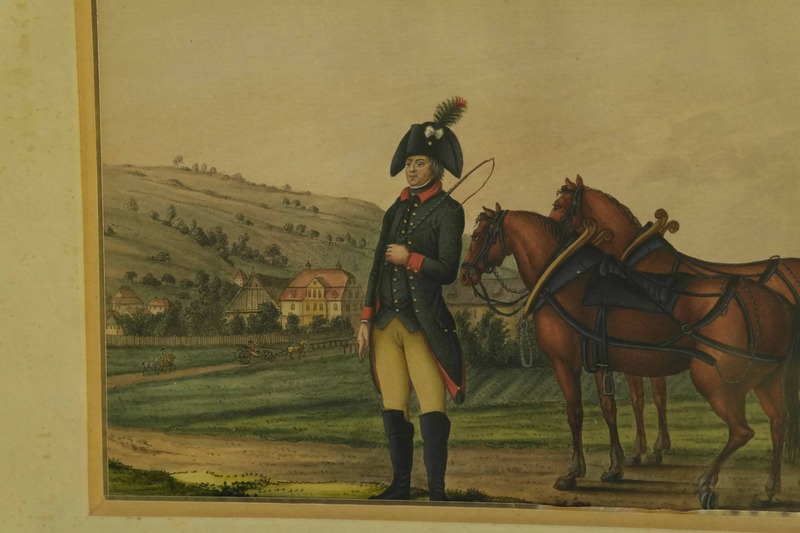 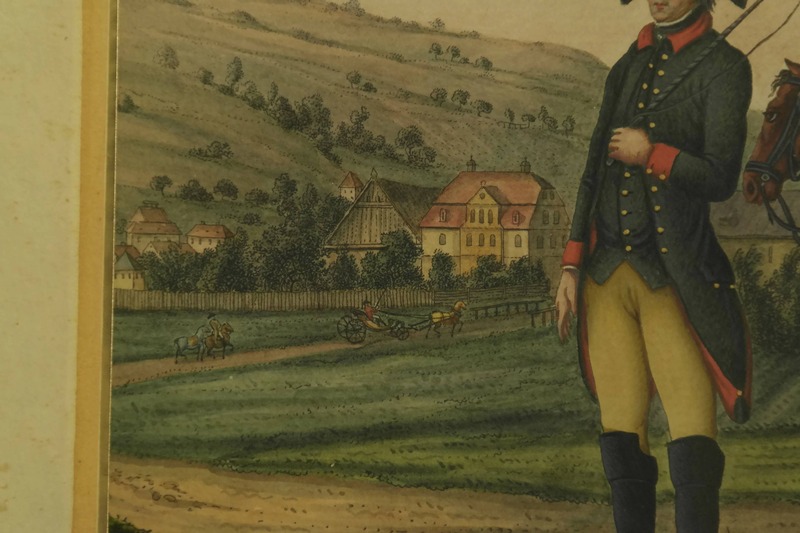 It features the figure of a soldier dressed in military uniform from the period of the late 1700s to early 1800s. 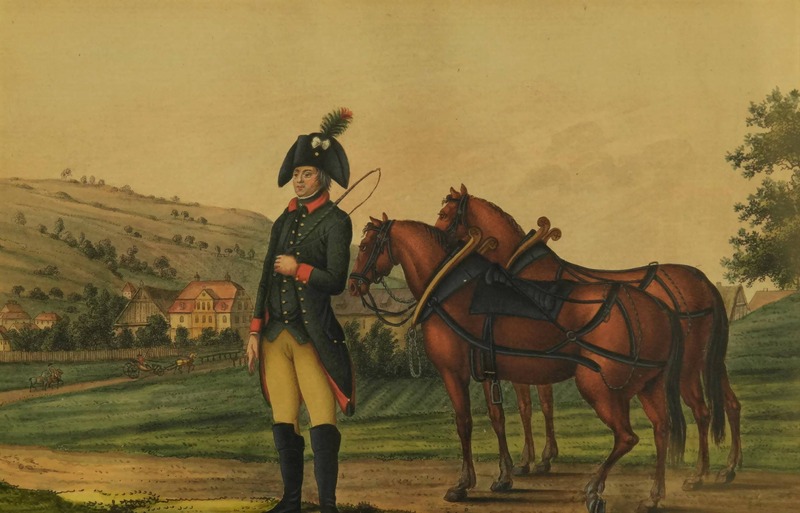 He is accompanied by two horses and the background features a rural northern European landscape.